Dennise Leatherman-Gonzalez is a paralegal who earned a Bachelor of Laws at Dominican University, River Forest, Illinois. Dennise was born and raised in the small border town of Douglas, Arizona, and is a fluent Spanish speaker. Dennise is the longest serving member of the firm. Coming from a border town and from a Mexican background has inspired Dennise to learn more about the immigration and criminal issues in the United States. These issues have had direct impacts on her friends and family. 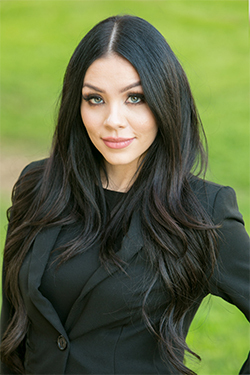 Dennise has experience in the areas of immigration, criminal defense, DUI, Personal Injury, estate planning and family Law. Dennise is skilled at assisting people and is passionate her work. In her spare time, she enjoys spending time with her family and traveling.